Creating a new digital home for one of the world’s most influential individuals. How can you summarize Mike Bloomberg’s influence with just one website? An Easier Way to Read: News articles are grouped according to specific areas of global impact. 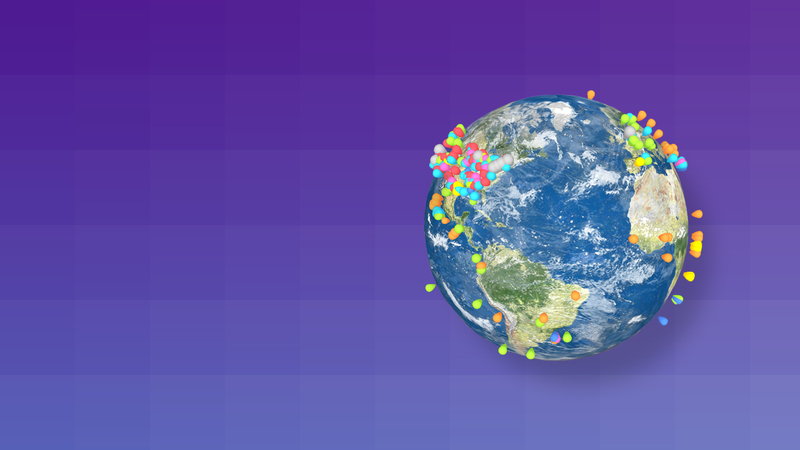 A Truly Global Impact: An interactive WebGL globe shows the scale of Mike’s efforts around the world. Learn More About Mike: An interactive timeline gives users a closer look at the man behind the mission. Presidential Bid: We were also tapped to lead website strategy and design in support of Bloomberg’s potential 2016 presidential campaign. 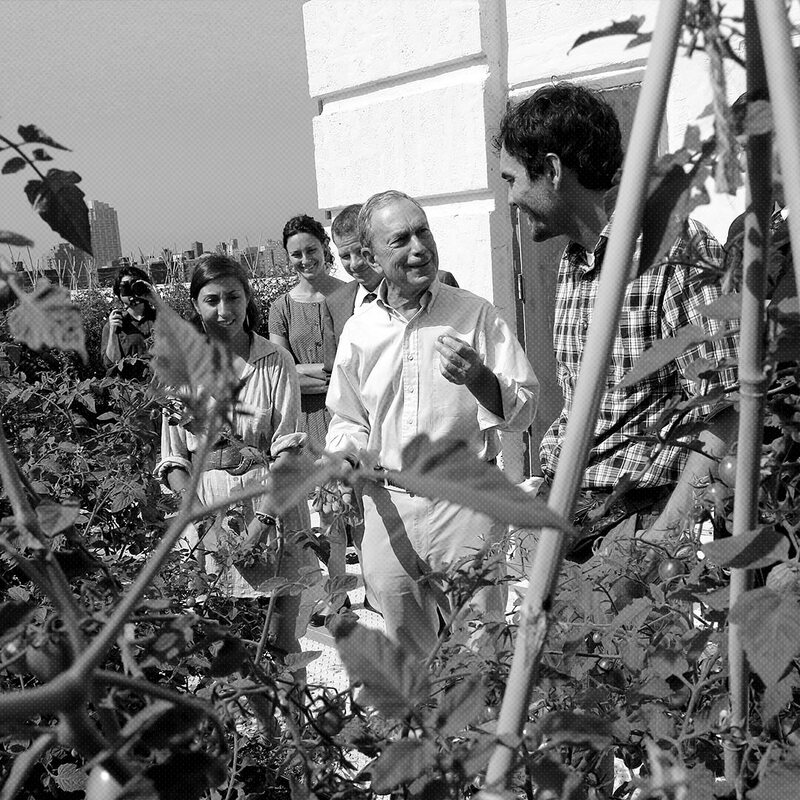 After three mayoral terms of championing change and growth in New York, entrepreneur and philanthropist Michael Bloomberg began spreading his influence beyond the city, impacting areas that affect countries and continents around the world. 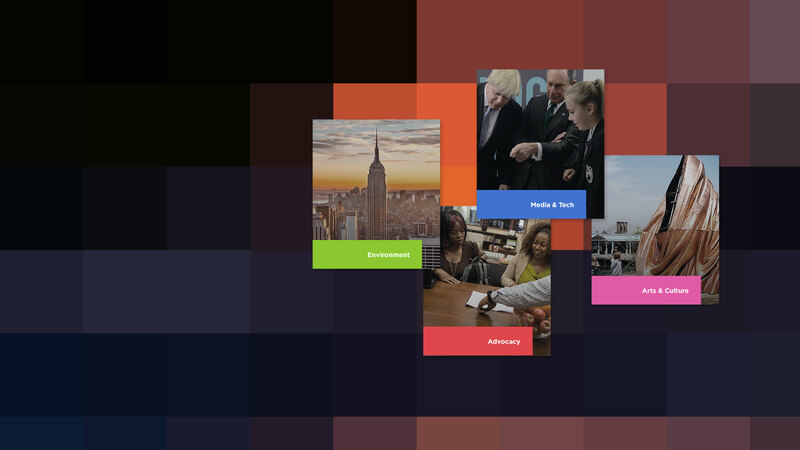 To amplify awareness and action around these efforts, we reimagined his online hub, MikeBloomberg.com. The amount of work that Mike Bloomberg does around the world is staggering, and the sheer number of areas he is impacting was overwhelming for people looking to learn more. After an extensive discovery process around both the existing site and similar online experiences, we shaped a strategy that organized existing content and highlighted opportunities for additional engagement. Visitors to the new digital experience can vividly explore each global impact area that Mike is passionate about—why each matters, what progress has been made and what still needs to be done. An interactive WebGL globe puts Mike’s work in context and shows just how great an impact he has made. The online experience weaves in Michael’s personal journey and demonstrates how many of the issues he is passionate about today can be traced back to his experiences as a student and businessman. 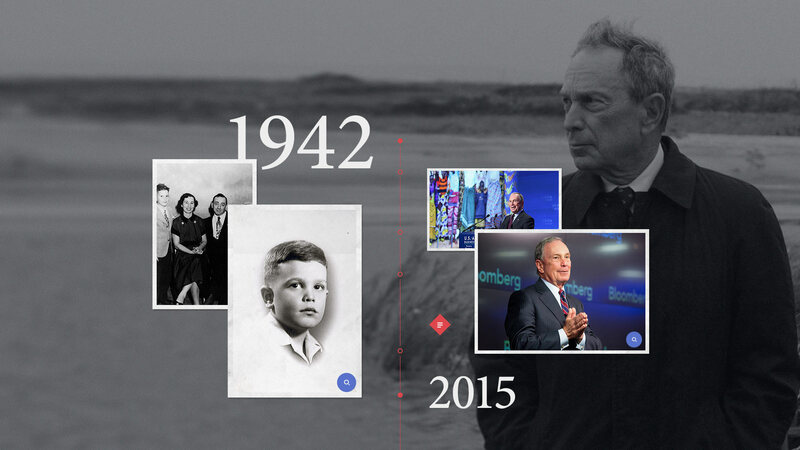 As Michael Bloomberg continues to influence change around the world, his online hub will also evolve as an ecosystem for him to share his point of view with the online community as he influences change—both in the US and around the world. 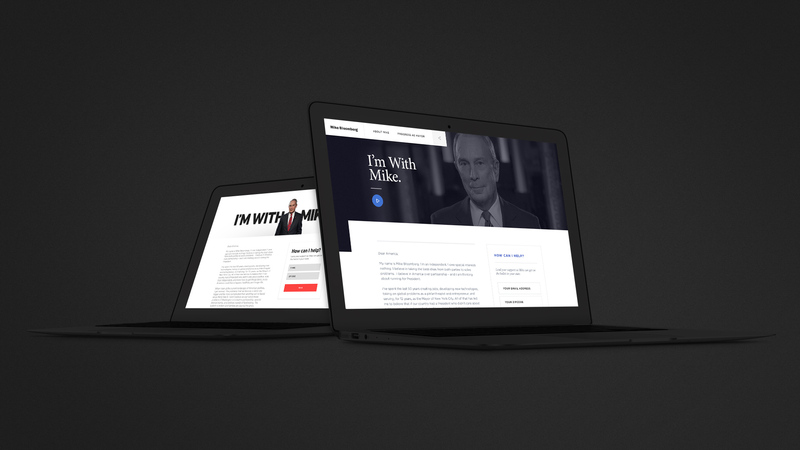 After building the digital hub, Firstborn was also tapped by Bloomberg’s team to lead website strategy and design in support of a potential 2016 presidential campaign. The initial focus of the project was to create a petitioning website in order for Bloomberg, as an independent candidate, to appear on the general election ballot.